Sales of bottled water in the UK continue to overtake Cola as people look for alternatives to sugar. But as the trend continues, health and environment conscious consumers are now also faced with the added dilemma of plastic bottle pollution threatening our eco system. THE OVOPUR water filter, which launches in the UK this week, not only eliminates the expense associated with bottled water, but also reduces the impact to the environment by lowering the amount of single-use plastic bottles that could end their journey in landfill and our water system. The high-quality porcelain appliance is an award-winning design with a curvaceous shape that allows water to move naturally inside and stay fresh. The OVOPUR is made from sustainable, renewable and recyclable materials and revolutionises the treatment of tap water through its unique filter system, the Aquacristal. 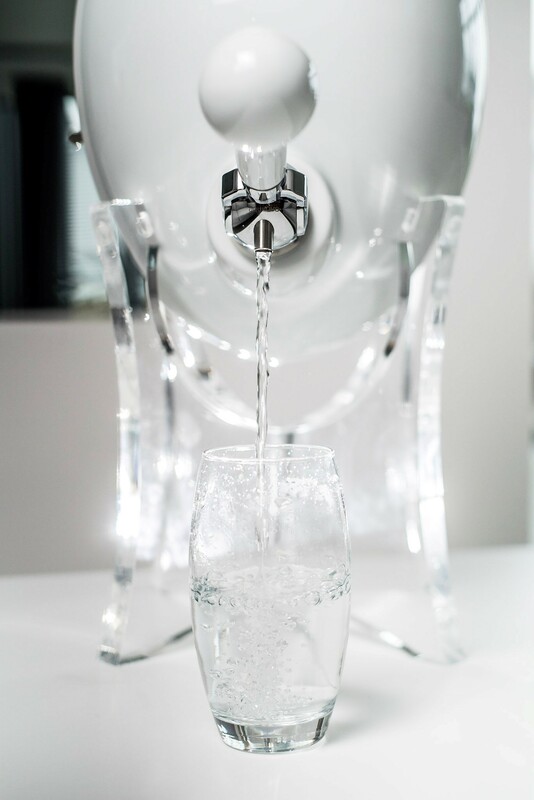 The filtration system neutralises the taste of tap water and removes nearly all chemicals and pollutants, without taking out healthy minerals. Designed by environmentally-conscious Canadian company Aquaovo, the Ovopur has been produced for the home or office, hotel, restaurant or bar with no electricity or plumbing required. “The Ovopur is an elegant and beautifully designed water filter which wouldn’t look out of place in anyone’s home or business. When I discovered it, whilst on a business trip to Canada, I knew the UK market would welcome it and I’m delighted to say that Stokes is now distributing the Ovopur exclusively” he said. The Ovopur is £595 incl VAT, which includes one Aquacristal filter. A pack of three recyclable filters costs £180, which can last up to 12 months. To find out more and/or place an order, visit www.stokes-coffee.co.uk/product/ovopur-water-filter or contact Sylvie Gay on 01522 523548.